Following the Tokyo Game Show release of Persona 4: Dancing All Night's new trailer (featured below), it came to the attention of fans that the upcoming PS Vita game seemed to be delayed until 2015. The game's director and producer Kazuhida Wada has now addressed the game's current state on the Persona blog, revealing that Persona 4: Dancing All Night is now being primarily developed by Atlus' Persona team. Original developers Dingo who have worked on the Hatsune Miku rhythm games are still involved in the project, providing assistance as needed. To everyone looking forward to Persona 4: Dancing All Night, we’re very sorry to have kept you waiting! While we wait, the new trailer for Persona 4: Dancing All Night features a first look at new Persona 4 characters added to the game, complete with dance moves that fit their personalities (Chie's Kung Fu dance moves are a highlight!). For excited fans, the game is available for pre-order on Play-Asia. 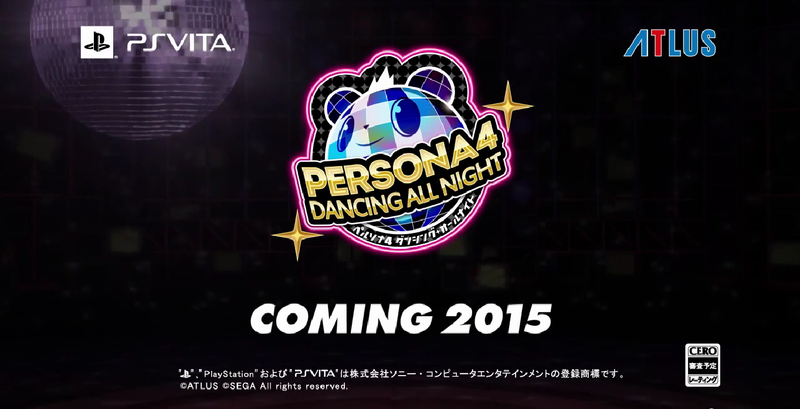 Are you looking forward to Persona 4: Dancing All Night? We'd love to hear your thoughts, so comment below or send a tweet to @JRPGJungle. Thanks for reading!